The training you get with 1st Safety Services could save lives, reduce injuries, and save money. The consulting you get with 1st Safety Services could save lives, reduce injuries, and save money. 1st Safety Services serves the industry by providing safety training courses, safety consulting, and a variety of other safety services. We aim to raise the bar in safety, productivity and employee protection in your facility or on the jobsite. From the beginning, we have always been helping contractors and general industry companies to stay compliant with federal, state, and local standards in work safety. We have been doing this for more than two decades and we plan to continue on this legacy of promoting the well-being of construction workers and workforces in general industry. 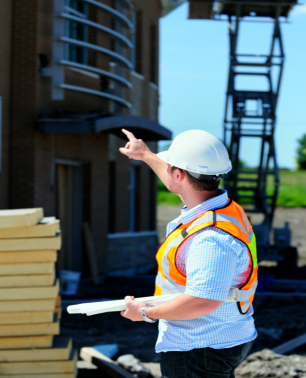 We are dedicated to offering the best in safety consulting, safety training, and a variety of other safety services. Having been in the practice for many years, we have gained the knowledge and understanding of the regulations coupled with practical hands on experience. With these under our belt, 1st Safety Services has proven to be very capable in effectively serving your company’s jobsite or facility. 1st Safety Services can assist in developing a comprehensive safety and health program, conduct effective safety training, or help with a simple workplace or jobsite safety or and anything in between. You can be sure that we are the company to rely on to put your Safety Needs First. – When you think “Safety First”, Think “1st Safety Services”!. Everyone should have the knowledge and training to get the job done safely. 1st Safety Services offers an avenue to learn information and pick up knowledge to become better aware of safety practices at work.